Royal knives guarantee the best possible cutting performance. Award winning design with barrel grinded blade. 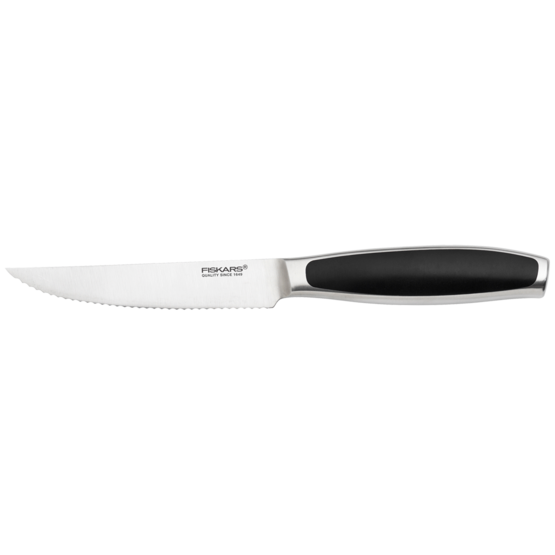 Small and multifunctional knife with serrated blade is an excellent choice for cutting foods with a crust or skin such as tomatoes and steak. Suitable also for table use.